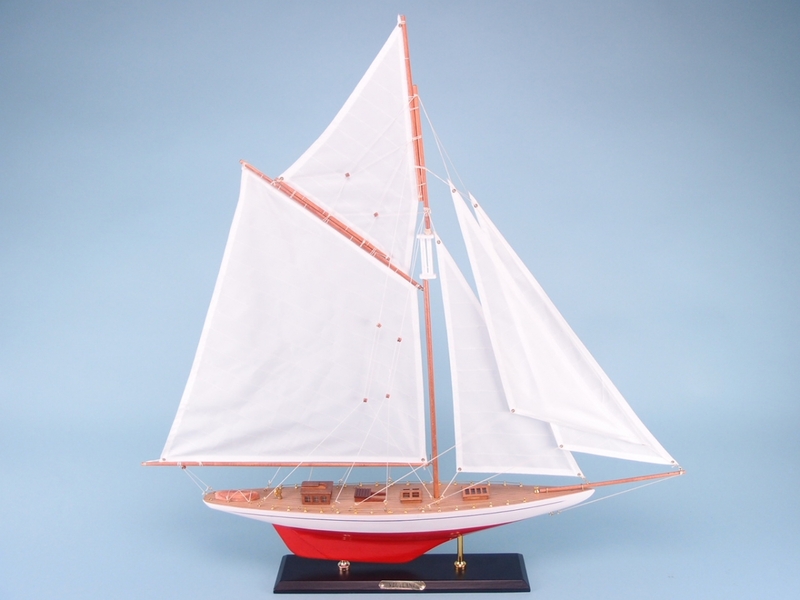 > Nautical Giftware>Wooden Yachts>J class "Vigilant"
A large model of the legendary Vigilant – the defender of the eighth America’s Cup in 1893. 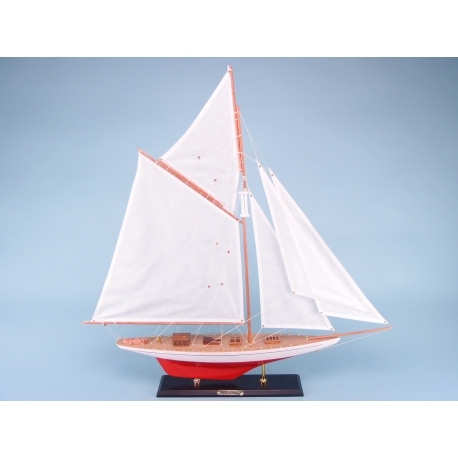 A high quality crafted model of the famous centreboard sloop Vigilant. This great collector’s piece measures at 80 by 83 centimetres. Each unit is supplied with a strong base and a golden plaque for display purposes. In the America’s Cup of 1893, the Vigilant faced the Valkyrie II in a best out of five races format. At the finish of the last race, Vigilant beat Valkyrie II by 40 seconds to successfully defend the cup. At the time, it was reported to be the fastest race ever sailed. Vigilant was eventually broken up in New London in 1910.